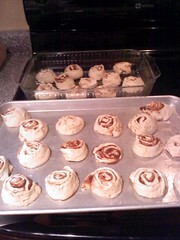 My house smells like Cinnabon right now-only because I made 48 cinnamon rolls using Artisan bread dough in 5 minutes. I love this cookbook-can’t you tell? I first started freezer cooking Pioneer Woman’s cinnamon rolls, which are excellent. However, I wanted to use white whole wheat flour and I didn’t get quite a good rise as what I wanted. I’ve been doing a lot of Artisan dough recipes and I think I’ve mastered the cinnamon rolls using a modified version of the olive oil dough. I replaced the olive oil with canola oil and I’m still using whole wheat flour. For those of you who are new to whole wheat baking, this is the perfect recipe using a white whole wheat flour blend. You can substitute half white whole wheat and half unbleached all-purpose in this recipe, but I chose to use Eagle Mills unbleached flour because the whole wheat’s already been mixed in for you. It’s a time saver and it’s a great way to introduce your family to whole wheat baking. 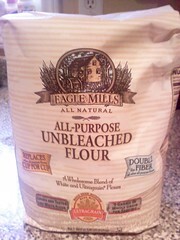 I buy this flour from Ingles. I start by making the 5 minute dough by mixing the ingredients in a plastic shoebox. I allow it to set at room temperature for 2 hours and then refrigerate the dough until it’s ready to use. Ding! My cinnamon roll lover son wants rolls, so the dough comes out. Usually the dough has to sit at room temperature for 90 minutes (yes, an hour and a half to get a good rise), but a found a time-saving trick. 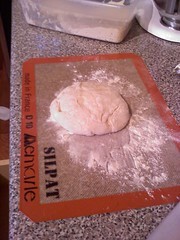 I roll out the dough and allow it to sit for 15 minutes. Because the dough is laying flat and not in a ball, it loses the chill faster! 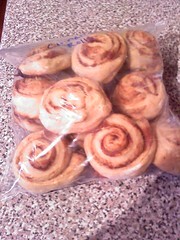 I love it because I can make cinnamon rolls so much quicker. I tried this method with one dough portion first and then I decided to go ahead and make the other three portions the following day so I could freeze these. The method is the same whether you decide to make a dozen or 48 rolls (all four portions of dough). 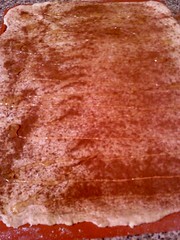 I do not cut on my silpat mat, I moved the dough log to my chopping board. I used my silpat, a flimsy plastic chopping board and a large wooded chopping board for the three portions of dough to rest for 15 minutes. Then I rolled into a log and sliced. Sprinkle 1-2 teaspoons of cinnamon on the dough and drizzle with honey. 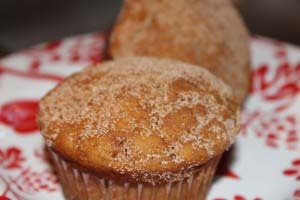 Or you can make a mixture of 1 cup white/brown sugar to 1 tablespoon cinnamon in a freezer quart size ziploc bag. Seal, shake to mix and use this on your dough. Store in the freezer on your side door. I’m trying to stick with honey and raw sugar as much as possible. 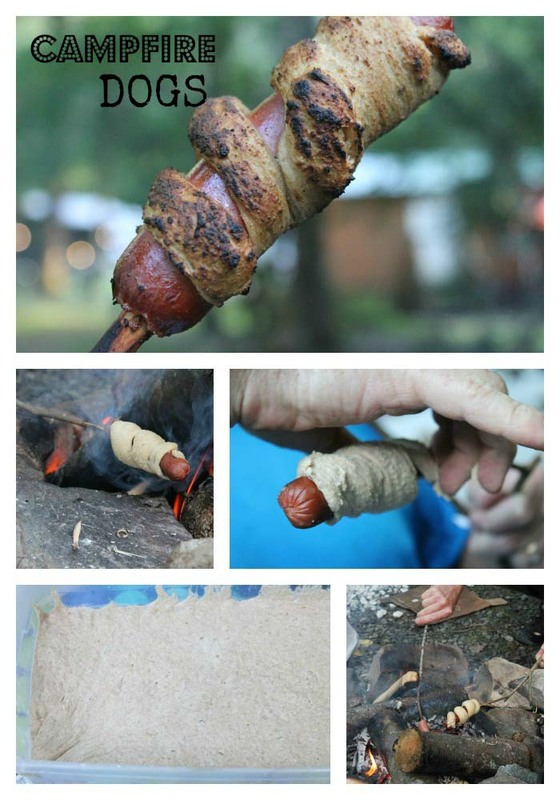 Roll up the dough in a log and pinch the seam closed. Cut into rolls with a sharp knife or unflavored dental floss as some readers practice, don’t worry if they are sticky. You can dip you knife blade in flour each time to help with this. Place each portion of dough in one 9×13 pan-don’t overcrowd because they do rise some. 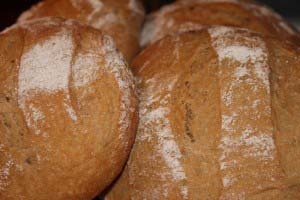 I actually preferred mine closer to together with first batch because they were softer because they were touching-if you spread them out as I did below they are lightly toasted on all sides instead of on top only and they bake a little quicker-so choose the method you like. When I want fresh rolls in the a.m. I will do this part the day before, refrigerate and then bake the next morning. The uncooked rolls will last a couple of days in the fridge. Bake at 400 degrees for 20 -25 minutes if you are baking more than two pans. One pan bakes about 15-20 minutes, but why bake one if you’re going to all the trouble of flour, honey, cinnamon (all messy) and electricity? Just bake them all at once, cool and freeze for a convenient breakfast or breakfast bar for dinner. Make sure you allow them cool completely for an hour on a cooling rack before you freeze in a gallon size freezer bag (which can be reused) for future rolls. If you’re wondering where the icing is, I make mine on demand. I use a small ramekin and put about 1/2 cup of powdered sugar and a splash of milk and vanilla extract and make a thick consistency. Because I top it with icing, I feel I can use less sugar in the dough (remember I used honey). It works for us, but you do what works for your family. Measure the dry ingredients in a plastic shoe box. Add the water and oil and mixing with a wooden spoon until there are no dry patches. Cover with the plastic lid and allow the dough to rest at room temperature for 2 hours. Refrigerate the dough and use it within 5 days. On baking day, use one portion of dough at a time. (Visually divide into four dough balls or weigh if you have a scale, but approximate is fine). Use one dough ball, dusting with flour as necessary. Sprinkle 1-2 teaspoons cinnamon on the dough and drizzle with honey or raw sugar. Add nuts or raisins if desired. Roll up the dough in a log and pinch the seam closed. Cut into rolls with a sharp knife dipped in flour or a piece of unwaxed floss. Place about twelve rolls per 9×13 greased/sprayed pan. Bake 400 degrees for about 15 to 20 minutes. Have you ever made more than one pan of cinnamon rolls and frozen them? 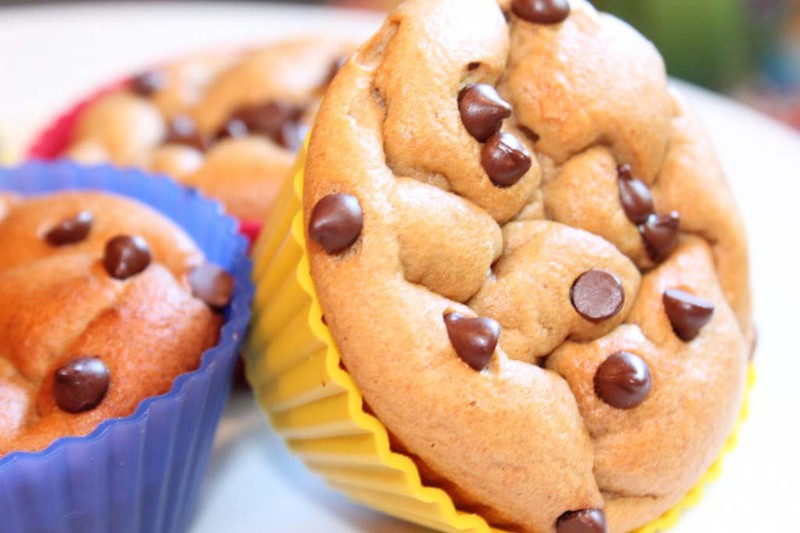 This entry was posted in Eggs + Breakfast, Quick + Yeast Breads and tagged batch, bulk baking, canola oil, cinnabon, cinnamon, freezing cinnamon rolls, honey, icing, raw sugar, sugar on 22.02.2011 by admin. Works for Me Tip: If the dough is sticky or not try using dental floss to cut right through and make quick even cuts. 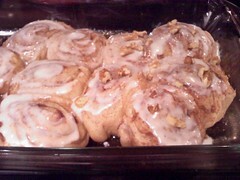 I do enjoy pioneer woman’s cinnamon rolls. Are these nice, soft, and airy if baked close together? I agree with the floss, but I need to buy a designated unflavored pkg just for cinnamon rolls.I don’t know if I would call them fluffy and airy, because I’ve never made pioneer’s with straight all-purpose flour; I always attempt with some white whole wheat which makes them a little heavier, but these were not dense. They may or may not rise more if you allow them to set longer than 15 minutes like I did. But I did like them better baked closer together. Let me know what you think compared to pioneer recipe, if you try. We’re finally going full weeks to school, how about you? Definitely use dental floss. Slide the floss under the roll, holding on each side. Being them up and over the dough, crossing floss and pull up to slice. Works better than anything. At one point you write: “Sprinkle 1-2 teaspoons” but don’t specify what you’re sprinkling it with. Could you please correct? Thanks!!!! I read your post and the Canola oil recipe. I’m confused though. The first step is to mix all of the dry ingredients in a plastic shoe box (very clever! ), but then the next step says to cover the dough and let it rest for 12 hours. So, do you just store the dry mix in the shoe box and then add the water and oil when you want to make dough? I feel that there is a step missing in your Canoloa Dough recipe. I enjoy your blog! I am trying to get in gear for OAMC! Hi. This is my first time here. I love your mission! God bless you as you go. with honey or raw sugar or white sugar if you must. Sprinkle what? flour or sugar? What about the cinnamon? 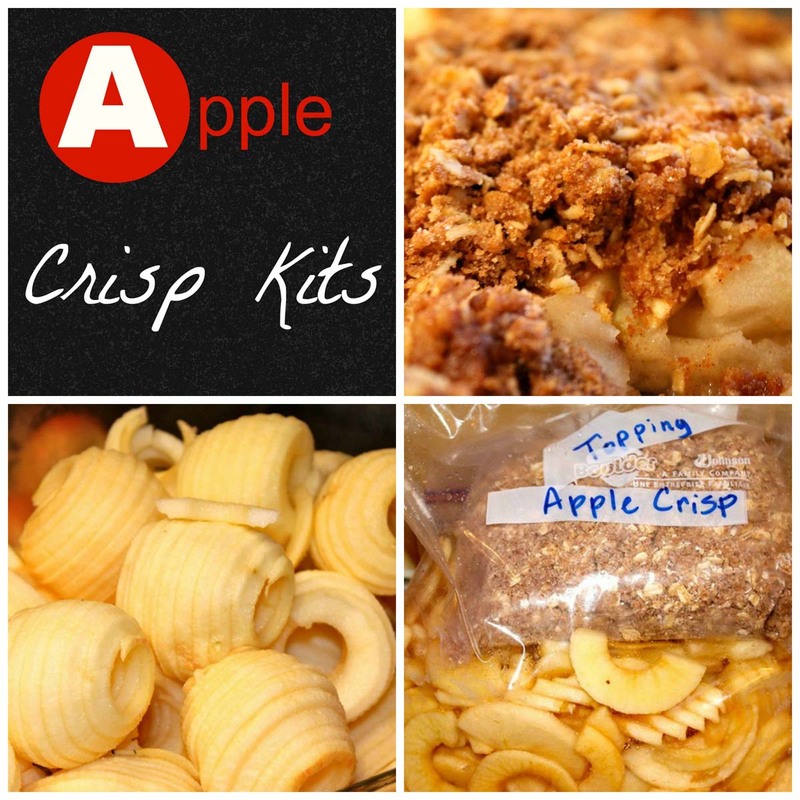 Thanks for sharing your recipe (and your heart) and thanks in advance for answering my question. Can I say yum! I’m so excited to have found a quick healthier cinnamon roll recipe! We’re starting it tonight! Yay, I hope it’s super easy and delish for you too. Jackie–So to make the flatbread you use the same recipe that appears here under “Cinnamon Rolls”, correct? Andrea, yes, I use the same shoe box recipe for all my breads!